WITH the final piece of its funding puzzle in place, Tatterson Park’s long-awaited new pavilion will start to emerge in July. 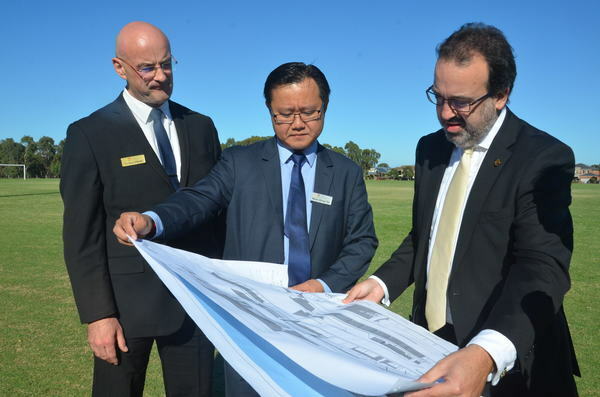 Keysborough MP Martin Pakula announced a $650,000 Community Sports Infrastructure Fund grant at the Keysborough park, on Monday 21 March. He also announced a $100,000 grant for Alex Nelson Reserve Pavilion in Springvale South. Mr Pakula said the Federal Government and City of Greater Dandenong had also contributed cash to the projects. The near-$10 million Tatterson Park pavilion project will include eight changerooms, a function room, community meeting rooms and a 500-seat grandstand. Dandenong City and Thunder soccer clubs and the Dandenong Stingrays AFL side are among the reserve’s users and portable changerooms are on-site at the moment to meet demand. “Sport has the power to engage, connect and unite people in our community,” Mr Pakula said. 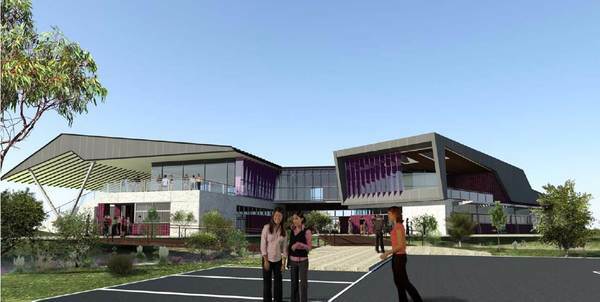 Greater Dandenong mayor Heang Tak was thrilled that construction could now go ahead. “Council has done a lot of work to have this project ready to go,” he said. The council’s sport and recreation co-ordinator Sue Appleton said it was five years or more in the making. She said construction would start in July and should wrap up by the end of next year, and that groups were already asking about using the new spaces. Ms Appleton said cricket and soccer clubs would benefit from the $1.4 million Alex Nelson Reserve project. She said its main aim was to improve changeroom facilities to increase female participation. Detailed design is now underway, she said, and the project will hopefully go out to tender in September or October. Depending on the council’s budget allocations, construction could start in November and be finished by next March.